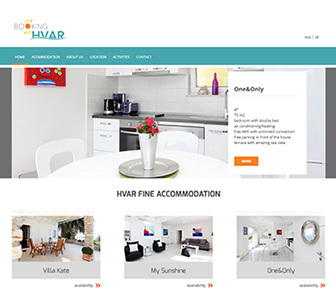 Booking Hvar is one of the first provider of exclusive accommodation in Hvar town. Dedicated to hand-selecting beautiful properties with outstanding design and position, our apartments are the best that Hvar offers. 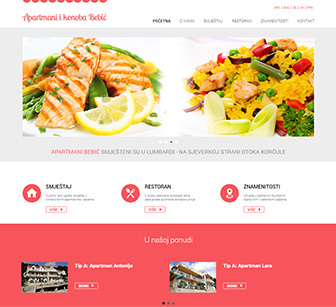 Bebić Apartments and Tavern are situated in the village of Lumbarda, in a wide bay on the northern side of the island of Korčula, some 6 km to the east from the town bearing the same name. 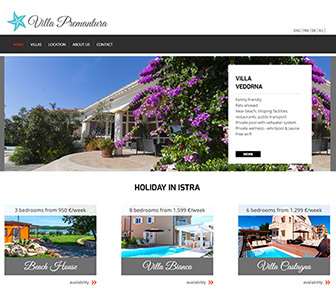 Villa Premantura Ltd. is a private company which engages in the development of real estate projects in tourism. Our Villas are built according to modern building standards and are equipped with all the equipment that meets the strict standards. Dugi Otok is one of the largest islands in the Adriatic Sea, and judging by its natural beauties, it is certainly among the richest and most diverse ones. Numerous island attractions spread throughout 45 kilometers of its length, stretch from the steep cliffs of the southeast up to the spacious sandy beaches of the northwest. Okrug is known as one of the most attractive tourist destinations in Croatia with its 2670 sunny hours per year. Beautiful beaches with crystal clear waters in secluded bays will surely make your vacation on the island Ciovo an unforgettable experience.